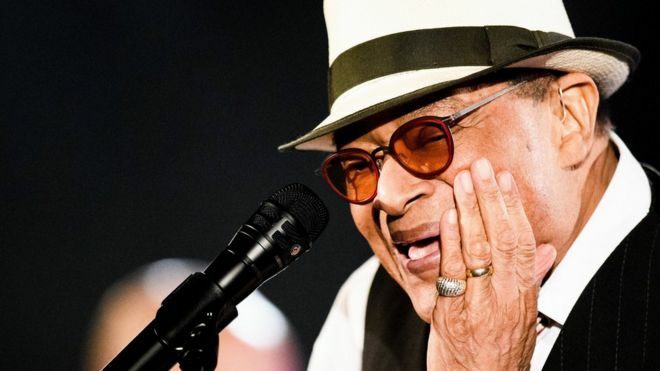 Seven-time Grammy Award-winning jazz and pop singer Al Jarreau has died in Los Angeles at the age of 76, BBC reports. The cause of his death was not immediately clear. He was in a hospital being treated for exhaustion. A rare artist to have won a Grammy in jazz, pop and R&B categories, Jarreau was famed for writing the theme to hit television show Moonlighting. Earlier this month, he retired from touring after more than 50 years. Born in Milwaukee, Wisconsin, in 1940, he started singing as a child, joining his family in church concerts and events. But his career did not kick off until years later - first, he graduated in psychology and worked at a rehabilitation centre in San Francisco. His first album, We Got By, came out in 1975 and earned him a German Grammy. One year later, he launched Glow, with which he also won a German Grammy. In 1977, he released a live album, Look to the Rainbow, which earned him his first Grammy for best jazz singer. He was awarded again one year later, this time for the album All Fly Home. He then crossed over into pop, and in 1981, launched Breakin Away, which included the hit We're in This Love Together, which catapulted him to fame. Another Grammy came in, this time as best pop singer. Finally, his 1992 Heaven and Earth album earned him a Grammy for best R&B vocal performance, meaning he had prizes in the three categories.